QuickBooks is the industry’s standard financial software. For small-business owners who need everything streamlined, QuickBooks offers some of the best services and features. You can choose and pay for the features that you need, whether you need to pay your employees, manage your bills, or track sales. This system is used by enterprises, huge businesses, small businesses, or even self-employed entrepreneurs. While most accountants love QuickBooks and believe that it is simply the best accounting software, for small-business owners in certain industries and with certain needs, it may not necessarily be the best. Small-business accounting software should be tailored to your needs, so we’ve listed some other solutions that may fit your business here. Startup entrepreneurs love the online, easy-to-use, cloud-based FreshBooks software, which allows you to send invoices, track time, record expenses, and pull reports, all online. 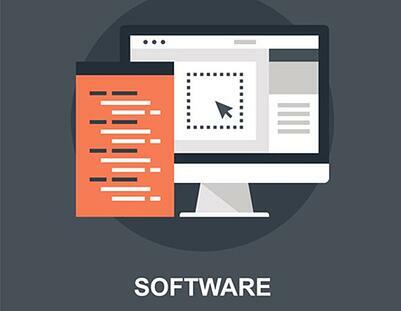 Super-intuitive and easy to navigate, this software is best for a small or medium-sized business. It also happens to be one of the most mobile-friendly choices on this list. So if your small business is constantly on the go, this may be the best solution for you. Perhaps you need rather cheap accounting software to help you run your small business. Financial software is often rather expensive, so many people resort to spreadsheets. But there’s an entirely free solution to this problem: Wave. Many options on this list are free to download, offering a free trial for a limited period of time. But Wave’s accounting tools allows you to invoice, pay employees, and pull reports, all without having to pay a dime! For really, really small businesses and startups, Zoho Books offers the basic accounting features in addition to tools to help track growth. Its simple, pleasing graphics offer non-accountants the opportunity to track difficult metrics. This is an especially good choice for a one-person micro-business or a freelancer who needs a simple bookkeeping solution. This service is quickly rising in popularity, enough to rival QuickBooks. With it, you can manage bills, invoices, inventory, and payroll. Also, because it integrates with other major apps like Square and PayPal, you can keep all of your information in one place. Depending on the size of your business, Xero may end up being quite a bit cheaper than QuickBooks as well. It’s the best accounting software for small business organizations with about 10-50 employees. NetSuite offers comprehensive business management solutions. It’s a powerhouse of CRM, e-commerce, and project management. It also happens to offer accounting and financing solutions. Larger businesses often use NetSuite ERP, enterprise resource planning software that integrates everything from financial management to procurement to human capital management. If you already use the NetSuite platform or if your inventory is vast, this solution may be better for you. AccountEdge: What this financial software for small-business owners boasts is mobility. Like FreshBooks, it offers a simple, easy-to-navigate solution that can be used on Macs, PCs, and mobile devices. This system is best for when you’re working with an outsourced accounting firm because it boasts a double-entry system. It’s beloved by both accountants and non-accountants. FreeAgent: FreeAgent is like many others on this list; it’s easy for the small-business owner to navigate, integrates well with other systems, and is very mobile-friendly. The difference is that this system offers free education, webinars, and resource articles. SageOne: There are many different things you can do with SageOne. However, one thing you don’rsquo;t have to do is pay. SageOne offers a paid and non-paid version of its software, so you can track invoices, expenses, and cash flow without having to pay a dime. Note that if you want to connect with your accountant, like those here at Ignite Spot, you’d have to upgrade to the paid version of the software. If you’re having difficulty with finding the right software solution for you, feel free to contact the knowledgeable and experienced accounting team here at Ignite Spot at 855-694-4648. We provide insights to businesses both large and small.